Although your main goal in starting a church was likely to make a difference in your community and create a place for religious members to learn about their faith and worship in community, at its core a church is still a non-profit business that takes skill and effort to keep afloat. Keeping track of the financial aspects of running the church, planning the specifics of each sermon, communicating news and events to the congregation, and dealing with payroll tasks are all necessary components of church management. While all these duties are certainly too much for one person to bear, church management software can make the process much easier. Attempting to store contact information, giving summaries, and other important data on multiple spreadsheets, word documents, and types of software can make navigating all the information you need much harder than it needs to be. With the right software in place, you can store all your information in one convenient location. If all of your most important information is stored directly on a computer or on a single database, you can potentially lose vital information or private contact information of church members. 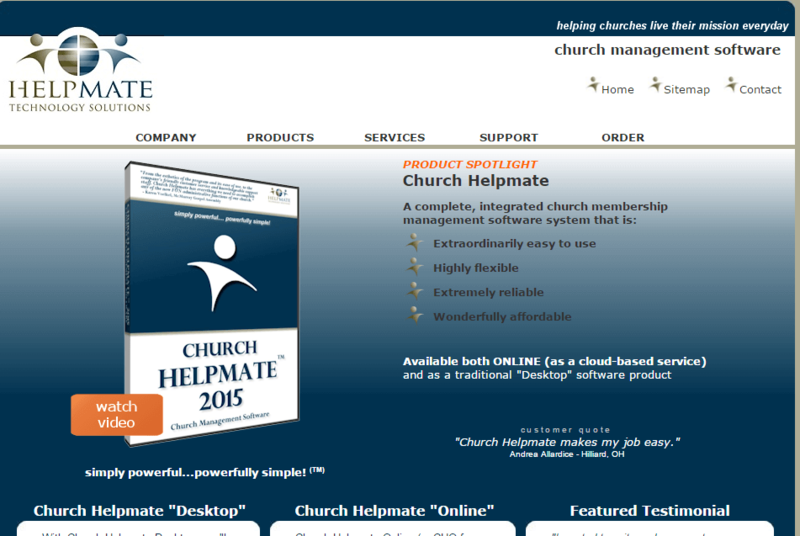 One benefit of management software for churches is being able to easily backup all your data. While many churches may still rely on paper envelopes and offering boxes to accept the weekly tithe, church software can open the door for electronic giving. This eliminates the issue of people forgetting their checkbooks or cash at home, and people can even give when away from the church. Electronic giving also makes it much easier for the church to keep track of what is given on a weekly basis and by whom. Tracking attendance rates and giving trends is necessary for measuring the spiritual growth of your church and knowing how to budget. Software specifically designed for this purpose can make it easy to plug in data and see how your church is doing.